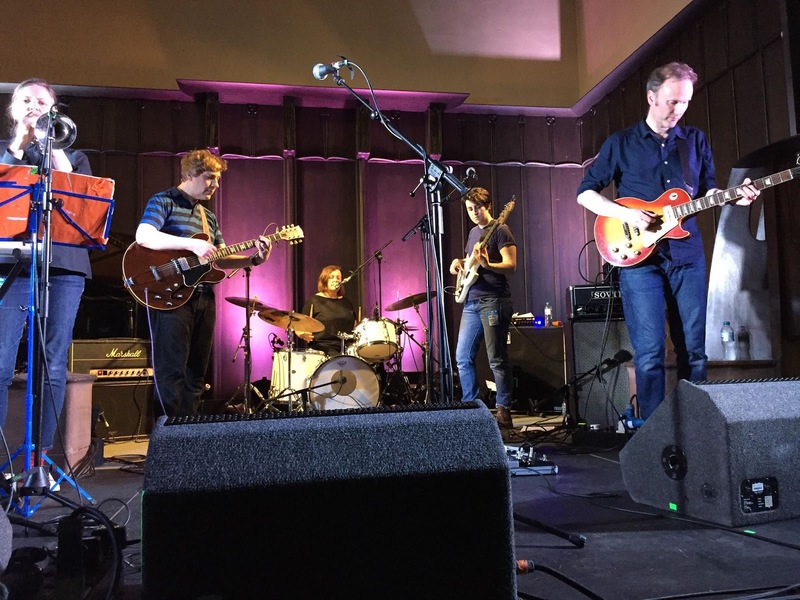 A rare outing for one of Scotland's most important, influential bands in the beautiful surroundings of McIntosh Church sees Stuart Ralston and a packed audience enthralled. It's about 25 years since I first saw a Pastels show. I used to read about this legendary C86 band in the music weeklies. A band that influenced many of their contemporaries in Scotland and the UK but also the likes of Sonic Youth and Nirvana too. They paved the way for many Scottish and alternative bands that followed them too. Those shows we used to take in in the early 90s were celebrations and we'd see the same faces at all the shows, such was their devoted fan base in their home town. The line up may have evolved over the years but at the core are singer / guitarist Stephen Pastel and singer / drummer Katrina Mitchell. I wouldn't dream of calling Stephen the front man, I can't imagine he'd like that tag. Both Stephen and Katrina share song writing and vocal duties and both obviously drink from the fountain of youth as neither ever seem to age. Taking to the stage after well received support slots from Andrew Wasylyk and his band and Modern Studies, the six piece Pastels, including a brass and woodwind section, begin tuning up before causally ambling into the instrumental opener Wilderness Theme. A soft, gentle introduction in such picturesque surroundings. The gig is part of a series of shows in the venue and features a giant moon hovering about the congregation! Stephen explains that they have picked songs tonight which fit the venue. Throughout the show, Stephen, as always shares little tales and anecdotes. He is as charming and engaging as anyone who has ever set foot on a stage yet is so unassuming. Most of tonight's set is drawn from their last long player, 2013's Slow Summits with a few older classics thrown in. Secret Music, from the aforementioned Slow Summits is up next and features a gentle, encapsulating lead vocal from Katrina. Wrong Light shifts the show up a gear and features some incredible rock n roll lead guitar from John Hogarty and duetting from Stephen and Katrina. One of the oldest songs in the set, Thru Your Heart from 1991 is completely reworked. Slowed down, it's a beautiful, tender love song sung by Katrina and orchestrated well with trumpet and flute, provided by Alison Mitchell and Tom Crossley, who are key players in the modern day Pastels sound. Check Your Heart is the popiest moment of the set and again sees Katrina lead whilst keeping a furious beat going on her kit too. Summer Rain, for me the highlight of Slow Summits, sees Stephen take over on vocals as the band feed off each other creating a glorious finale to the song. Mandarin, from 1995's Mobile Safari is another love song, it's the closest The Pastels get to assimilating The Velvet Underground and it's a style of song they do so well. Melancholic yet uplifting, tender, heartfelt. The other side of The Pastels is displayed on the eight minute garage / psych classic Baby Honey. First recorded in 1984, it has grown in stature and power over the years. A simple, pulsating, driving rhythm section augmented with John Hogarty's intricate guitar work and Stephen's trippy vocals. Stunning. The show closes with Kicking Leaves and another vintage tune (from 1987) If I Could Tell You, although it sounds completely timeless. Like the best pop songs, it doesn't age. The audience reaction says it all at the end. It is always a privilege and a pleasure to see The Pastels and the applause at the end of this performance leaves me clear that I am not the only one who thinks so. 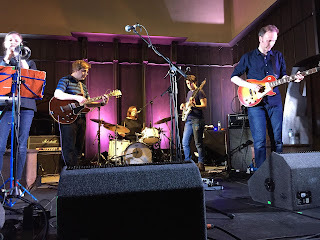 The Pastels' website can be found here and they are on Facebook and Twitter.